Heinz Luchner aka „Mr.Kju“ is a Dj and Producer from Tyrol Austria.His Music Career began in the early 90s. He was playing Guitar in a Punk Band.At the same Time Mr.Kju was fascinated from the new Sound called „Rave“From this Moment Electronic Music changed his „Musical Life“ and he begans with Djing focused on the Style Drum `n`Bass and House.Back in the Year 2008 Mr.Kju started with Producing his own Tracks. 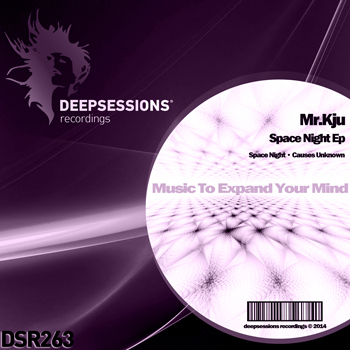 As a Producer his Style is something between Deep and Progressive House but as a Dj he loves to play Drum`n`Bass too.In January 2013 he had his first Release on the Russian Label „Elliptical Sun Recordings“ and he collaborates with other Labels like „Mystic Carousel Records, Deepsessions Recordings, World Tech Records, Waking Monster and The Waz Exp“.As a Dj Mr.Kju is Part of Tabularasa Events which is an Electronic Music Collective based in Kufstein Austria. Supported By : Above & Beyond, Adrianos Papadeas, Alberto Blanco, Daniel Gomez, Deepsense, Dio S, Faskil, Johan, Dj niki belucci,Fernando Ferreyra, Franzis-D, G.HoT, George Marvel, Mark Found, Pavlin Petrov, Tone Deep, Zisis D, alfoa, kiss fm ua and more..